Nancy Osborn Brataas, 86, died April 17 of chronic lung disease. A tribute essay to her by her daughter, Anne Brataas, appears in the April 25 MinnPost. Much beloved and greatly missed, Nancy's exuberantly original life was celebrated in two memorials, a May 10 funeral in Rochester, and a May 18th "Civic Fest" in St. Paul at the University Club of St. Paul. Nancy truly would have loved Civic Fest: So many political friends and foes -- she loved and needed them both! -- were there to share their memories about her. ​On the speakers' panel were former Independent-Republican (yes, that's what is was pre-Tea: IR, a party, not a militia) Minnesota Governors Arne Carlson and Al Quie; former U.S. Sen. Rudy Boschwitz; DFL legislative colleagues Sens. Gene Merriam, Roger Moe and Emily Anne Staples Tuttle; Martha Head, wife of the late IR Attorney General Douglas Head. Martha is also a leading Minneapolis business woman and one of Nancy's dearest friends; journalists Bill Salisbury and Lori Sturdevant. 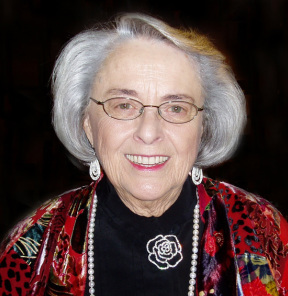 Sarah T. Williams represented Planned Parenthood, a cause Nancy championed and arguably helped transform with her signature fatigue-defying telephone bank campaigns that mobilized Minnesotans in favor of a woman's right to choose her reproductive future, including the option of access to medically safe and legal abortion. Two traits of Nancy's that were repeatedly mentioned at both events were her active, inspired practice of partisan-free mentoring of men and women throughout her political lifetime, and particularly during her tenure as the first elected woman state senator in Minnesota's history, 1975-1992. As the eminent politics-beat journalist Bill Salisbury, State Capitol Bureau Chief for the St. Paul Pioneer Press, recalled: "One of my favorite Nancy stories is that she figured out early on that if you wanted to get something in the tax bill, such as a Rochester sales tax, you had to get the blessing of Senate Tax Committee Chairman Doug Johnson. So she courted him assiduously, and they became good friends. She was willing to work across the aisle to get things done, which probably would get her excommunicated from today's Republican Party. It would be fun to hear what Doug has to say these days." Nancy's other remarkable gift was her ability to engage and mobilize people at a grassroots level. Long before the term "public engagement" was coined and began appearing on business cards as a corporate vice presidential calling, public engagement was Nancy's expertise. In one memorable effort in 1989, she mobilized 11,000 volunteers over 3 months to reach 1 million Minnesotans through a phone bank and data analysis system she designed to show that greater than 70% of Minnesotans favored a woman's right to choose abortion. The scope, pace, and importance of the outcome are pure Nancy. With the help of caregivers at Mayo Clinic and Seasons Hospice in Rochester, and many friends and family members, Nancy outwitted lung cancer for 15 years. Because she had severe emphysema, surgery was limited to a “non-curative” procedure, but she was indeed cured by it. She lived many happy years after that despite her emphysema. During that time, she travelled around the world twice with her oxygen tanks—once on the Queen Mary 2 luxury cruise ship. The trips were as much about putting cancer in its place as they were about reveling in the beauty and the wonder of a world she so loved. A career politician in the Independent-Republican Party of Minnesota, Nancy was the first woman elected to the Minnesota Senate, winning a special election in 1975 and serving until 1992. She represented Rochester, and parts of Olmsted County, fiercely and courageously. Faced with terminal emphysema, Nancy negotiated—as with so many things in her life—death on her terms, a deal cut late in the session. She entered Seasons Hospice April 13 and slept for a day. On April 15 she rallied to sign and file her taxes—and experienced the life-renewing lift that paying taxes gives one: filer’s high. This fueled her imagination. Within hours of filing, she began planning a remodeling of her hospice room to accommodate her tastes. She booked a truck to transport needed items. The next day she changed her mind, and instead announced she was ready to die. Nancy began work in earnest on her death project April 16. She finished it the morning of April 17, departing her life peacefully with family at her bedside. Born in Minneapolis on Jan. 19, 1928, to Flora W. and John D. Osborn, Nancy was educated in Minneapolis and Daytona Beach, Fla., graduating from Sea Breeze High School, where she was voted “Most Likely to Succeed” (as well as half of "Most Attractive Couple”). Returning to Minneapolis to attend the University of Minnesota, Nancy studied art history and met the newly-returned student, World War II Navy pilot, Mark Gerard “Jerry” Brataas. They married on November 27, 1948 and moved to Rochester where Jerry enjoyed a lifelong career as an administrator at Mayo Clinic. They spent their entire married lives in Rochester and raised their two children, Mark and Anne, there. During these early years Nancy enjoyed hobbies such as horseback riding, snorkeling, cross-country car trips for family vacations and summer camping trips in the wilderness that was to later become the Boundary Waters Canoe Area. She taught church school at Calvary Episcopal Church, and helped lead her children's various scouting activities. Nancy first became involved casually in Republican Party politics in 1956 as a volunteer for door-knocking campaigns to mobilize voters. Her eager spirit, quick, analytical mind, engaging social presence and strategic brilliance quickly attracted the attention of Republican leadership. She rose through the volunteer ranks, ably serving in a number of capacities, including as chair of the Minnesota Republican Party, 1963-69, and chair of the Minnesota Republican Finance Committee, 1969-71. In 1972, she worked in Washington, D.C., on the Committee to Re-Elect the President, Richard M. Nixon. As a senator, Nancy developed expertise in education, jobs and taxes. She made major contributions to workers’ compensation law, Title IX opportunities for women in sports, flood control for Rochester, passage in 1983 of the Rochester local option sales tax, repurposing of the closed Rochester State Hospital into a federal facility, and most recently, the establishment of the University of Minnesota Rochester. Nancy also started and ran a management and data-processing business, Nancy Brataas Associates, Inc. She specialized in strategically mobilizing voters through phone-center voter ID and recruitment campaigns. Her patented system was successfully used throughout the country in non-profit fundraising and political campaigns from Ohio to Texas to Michigan, and in Minnesota. As her husband's health declined, Nancy retired from the Senate in 1992. She continued her political leadership in other organizations, focusing on higher education with the Minnesota State Colleges and University System, on lung health with Clearway Minnesota, and on preserving downtown Rochester’s character, health and safety by working for an alternative to routing coal trains through the medical corridor. A connoisseur of gardens, Nancy loved both formal gardens and wild woodland plantings. Hostas and clematis were special favorites. She devoted great energy to perfecting gardens around her home, welcoming the public each summer to her "Come to the Garden!" open yard event. Her grandchildren remember those same gardens as ideal turf for Nerf wars in a summer haven created by a laughing grandmother who had Legos, puzzles and Playmobil in every closet, train sets improbably stowed in antique brass pots, and who rode her pink tricycle to Soldier's Field swimming pool with them, laughing and panting all the way. Nancy was preceded in death by her parents, her sister Gail, her husband Jerry, and her son Mark. She is survived by her daughter Anne, her son-in-law Charles Hathaway, their sons Kip and Aaron, all of St. Paul; and her sister Joan Osborn of Norwalk, Conn. Nancy’s life will be celebrated in Rochester, details to be announced. Ranfrantz & Vine Funeral Homes is handling arrangements. Memorials may be made to Mayo Clinic, University of Minnesota Rochester, Clearway Minnesota—or any cause of your choosing that needs help. Nancy was here to help; she believed we all are.